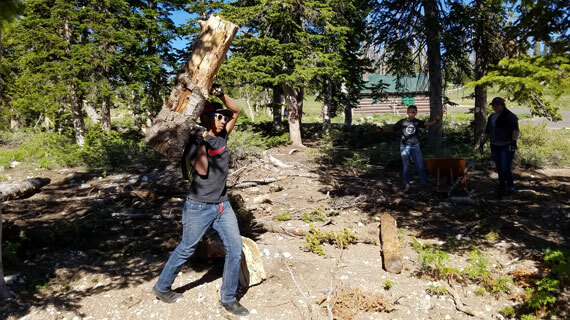 As part of the Ancestral Lands Program, the National Park Foundation (NPF) is providing a $252,100 grant to connect Native Americans to their ancestral lands. 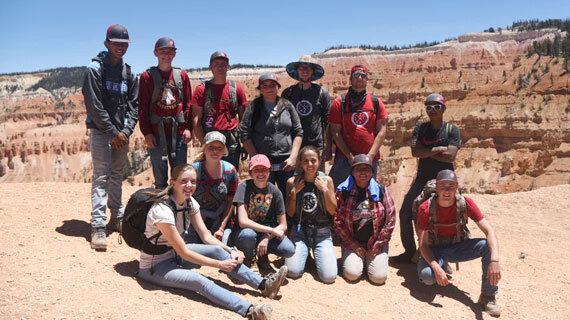 Southern Utah University’s Outdoor Engagement Center, along with several other land agency partners, are working together to engage 66 Utah Native American youth and young adults as part of this historic program. These Native American crews will complete important conservation projects in both the Grand Staircase Escalante and Cedar Breaks National Monument. The internships began in May and will last for 40 weeks. Not only are crew members participating in meaningful projects, they are also developing career-enhancing skills, creating educational activities and promoting awareness of their cultural identity. The relationships being strengthened between the National Park Service, Conservation Legacy’s Southwest Conservation Corps, the local native Tribes, the Utah Conservation Corps (UCC), and SUU’s Intergovernmental Internship Cooperative (IIC) will lead to future connections that will diversify NPS visitors, complete important infrastructure projects and maintenance, while providing work opportunities and training to underserved youth and young adults in southern Utah. The Outdoor Engagement Center facilitates and inspires meaningful experiences in the natural world for the SUU community. Learn more about the Outdoor Engagement Center.